What should you expect from Elite Door? When you have a problem with your garage door, you need fast, convenient service you can rely on. When you need us we’ll be there, and we’ll do it better than anyone else. We’ve crafted every detail in the service process to make it as easy as possible for you. Appointments are available when it’s convenient for you. Need it done now? No problem. We do now. Our 25-Point Safety Inspection and full diagnostic is completed and a firm price is provided in writing before any work begins. Our techs know what they’re doing. Each has completed multiple trainings, ensuring they’ll be able to help you successfully. We’ve made the investment to maintain an incredibly high inventory of garage door and opener parts on each one of our repair vehicles. This means we can fix your door in a single visit. Your garage door is fixed right! Elite Door uses the highest quality parts and we back up our work with the industry’s best warranty. This ensures the spring(s) are fully functionally. Elite Door inspects every roller for signs of wear and tear, or damage. Cables are inspected for fraying and kinking, which leads to damage. Drums are looked over unusual defects and cracking. Inspection for wear and tear or burned out bearings is executed by Elite Door. There are generally 2 types of center bearings; a single piece nylon bearing and a metal housing with actual ball bearings. Center brackets are inspected for signs of bending and other anomalies. The bearing plates are located at each end of the spring bar mounted outside the drums. The bearings allow the spring bar to turn freely as the door opens and closes. We check to make sure there are no faults. We inspect for rust and bending. The spring bar holds the springs and turns as the door opens and closes. Hinges are inspected for damage and excessive wear. Top brackets hold the top roller in place, and meticulously inspected. Bottom brackets are mounted at the bottom of the lower garage door section, they hold the bottom rollers in place. These brackets contribute to the lifting point on the garage door. We inspected for wear, damage and breakage. Bending and damage can occur; we check them to ensure they are up to par. We also inspect for bending and damage. Jamb brackets attach the vertical tracks to the frame work on each side of the garage door opening, our Inspection searches for position, bending and other damage. Struts are added supports for the garage door structure. Generally, garage doors have a strut mounted at the top of the high garage door section. 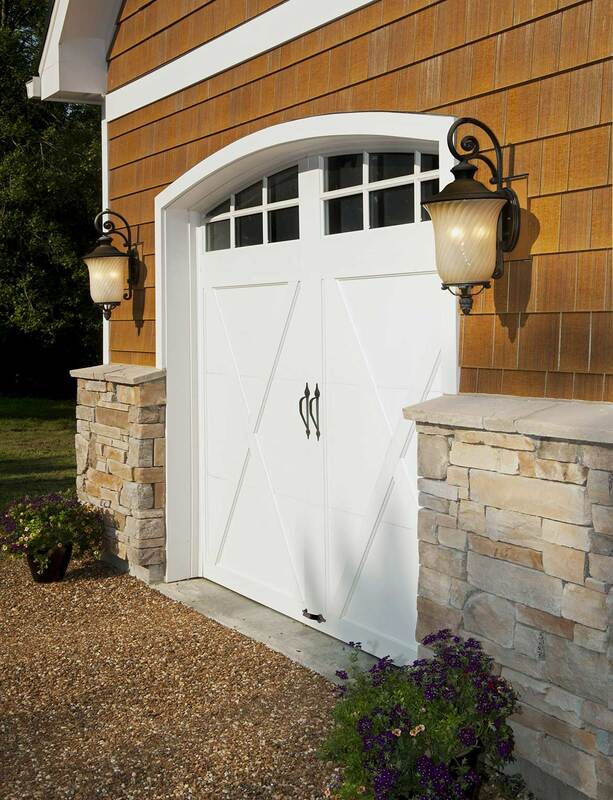 Some garage doors are equipped with multiple struts depending on the weight of the door. Struts may be added if damage requires additional struts for support. Weather seals are rubber located at the bottom of the garage door. This seal helps prevent wind and windblown objects from entering the garage. We inspected for dry rot and any other damages. We check for any dents, tearing in the metal along with any other damage. Controls are inspected for functioning efficiency. Inspected for damage and grinding in screw drive openers. The safety eyes keep the door from closing if a person or object is in the garage doors path. Safety eyes are inspected for efficiency. Motor gears are susceptible to wear and tear in belt and chain drive we check the belt and/or chain for proper tension and sign of deterioration. Visually inspected for any signs of wear and tear or cracking in the wire coating. We test the limits to ensure the door opens and closes to the proper travel locations. We also test the force limits to ensure there is proper force being applied to the door during opening and closing. Finally, we visually inspect the springs for signs of rust and deterioration. We also measure each spring to make sure they are adequate.